Calif. Gov. Jerry Brown on Friday signed a bill that would allow utility companies to bill customers to pay for legal settlements stemming from wildfires that may have been started due to faulty equipment. 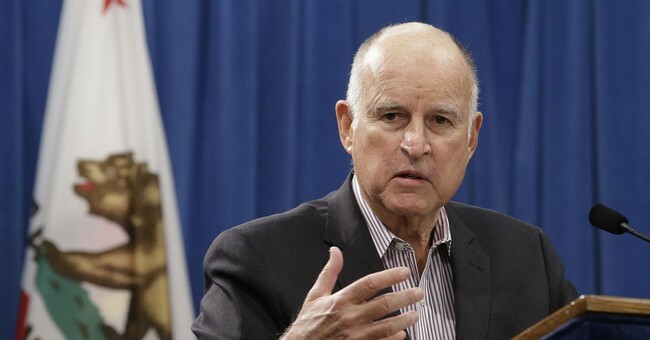 Brown's signed the bill into law to prevent Pacific Gas & Electric Co. (PG&E), the state's largest utility company, from going bankrupt, the Associated Press reported. The company faces billions in lawsuits should investigators rule that faculty equipment caused the Tubbs Fire in Santa Rosa last year. The Tubbs Fire destroyed thousands of homes and killed 22 people. The bill was designed to help the utility company absorb more than $10 billion in insured losses, the most in California's state history, the Associated Press reported. Part of the special process the bill created was allowing additional costs to be billed to PG&E customers. Another significant change that will now occur: the Public Utilities Commission will determine what costs utility companies can pass onto their customers. Factors include weather, the utility's efforts to prevent wildfires and mismanagement findings. Courts, in the past, have ruled the utilities are liable for damage caused by their equipment, including fires stemming from mismanagement of electrical equipment. No exceptions are made for utilities who followed all safety precautions. "If PG&E is blamed for the most destructive fires and passes along costs to customers, they'll appear as a surcharge on monthly utility bills for the next 20 years...Sen. Bill Dodd, a key negotiator, said the average residential ratepayer would pay an estimated $5.20 extra for every $1 billion dollars that PG&E must finance," the AP reported. The total cost customers could be on the hook for is currently unknown. That's because it's still unclear which fires were connected to PG&E, what final settlement numbers will tally up to and how much money investors will be responsible for. One significant change for the three largest utility companies – PG&E, Southern California Edison and San Diego Gas & Electric – is the bill's mandated hardening of equipment. The state plans to contribute $1 billion over the next five years to help with that requirement. Those who oppose the bill believe this is a bailout specifically designed for PG&E.